NEW YORK, July 26 /PRNewswire-USNewswire/ — The human rights group Stop Islamization of America (SIOA) today called on the FBI and Virginia’s Tidewater Joint Terrorism Task Force to resist efforts by an Islamic supremacist hate group to intimidate state and federal law enforcement officers and dictate how they are to be trained about the Islamic jihad threat. On Saturday the Hamas-linked Islamic supremacist hate group Council on American-Islamic Relations (CAIR) called on the FBI and Virginia’s Tidewater Joint Terrorism Task Force to explain why they invited Islam expert Robert Spencer to offer training to state and federal law enforcement officers. SIOA respectfully requests that the FBI and the Tidewater JTTF repudiate this attempt by CAIR to interfere with these agencies and impede counterterrorism training. 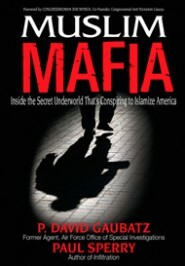 The Associate Director of SIOA, Robert Spencer is a highly acclaimed expert on Islam and Sharia, the director of Jihad Watch, a program of the David Horowitz Freedom Center, and the author of ten books, including the New York Times bestsellers The Truth About Muhammad and The Politically Incorrect Guide to Islam (and the Crusades). Spencer is a weekly columnist for Human Events and FrontPage Magazine, and has led seminars on Islam and jihad for the United States Central Command, United States Army Command and General Staff College, the U.S. Army’s Asymmetric Warfare Group, and the U.S. intelligence community – as well as the FBI and the Joint Terrorism Task Force on previous occasions. Spencer is the coauthor of Pamela Geller’s The Post-American Presidency: The Obama Administration’s War On America, which is set to be released this week by Simon & Schuster Publishers. CAIR, by contrast, is an unindicted co-conspirator in a Hamas terror funding case — so named by the Justice Department during the trial of the Islamic charity known as the Holy Land Foundation. 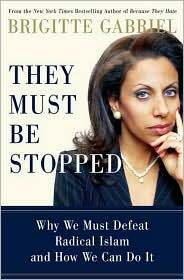 CAIR has previously attempted to intimidate numerous government agencies and citizens’ groups into dropping events featuring foes of international jihad activity, including SIOA’s Executive Director Pamela Geller, ACT for America’s Brigitte Gabriel, and others. 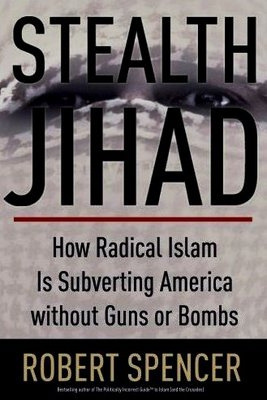 In the summer of 2010 it has embarked upon a concerted campaign of intimidation and defamation to silence public figures who speak out against jihad and Islamic terrorism, including Senator Charles Schumer (D-NY), the Rev. Franklin Graham, Florida Congressional candidate Dan Fanelli, and Connecticut Congressional candidate Rick Torres. CAIR’s attempt to intimidate the FBI and JTTF and dictate their choice of speakers contained numerous false charges, defamation, distortions, and outright lies about Spencer, SIOA, and Geller. CAIR has a long record of duplicity and deception. Although it has received millions of dollars in donations from foreign Islamic entities, it has not registered as a foreign agent as required by the Foreign Agents Registration Act (FARA), despite spreading Islamic supremacist propaganda within the United States. Although it presents itself as a civil rights group, CAIR actually has numerous links to Islamic supremacist and jihad groups. CAIR founders Omar Ahmad and Niwad Awad (who still serves as CAIR’s executive director) were present at a Hamas planning meeting in Philadelphia in 1993 where they and other Hamas operatives conspired to raise funds for Hamas and to promote jihad in the Middle East. CAIR has steadfastly refused to denounce Hamas and Hizballah as terrorist groups. * Mousa Abu Marzook, a former CAIR official, was in 1995 designated by the U.S. government in 1995 as a “terrorist and Hamas leader.” He now is a Hamas leader in Syria. 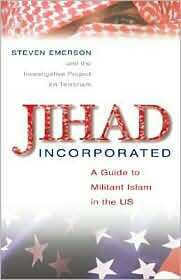 * Randall Royer, CAIR’s former civil rights coordinator, in 2004 began serving a 20-year prison sentence for aiding al-Qaida and the Taliban against American troops in Afghanistan and recruiting for Lashkar e-Taiba, the jihadist group responsible for the 2008 Mumbai jihad massacres. * Bassem Khafagi, CAIR’s former community relations director, was arrested for involvement with the Islamic Assembly of North America, which was linked to al-Qaida. After pleading guilty to visa and bank fraud charges, Khafagi was deported. * Rabih Haddad, a former CAIR fundraiser, was deported for his work with the Global Relief Foundation (which he co-founded), a terror-financing organization. After he received unwelcome publicity as a result of this statement, Ahmad denied saying it, several years after the fact. However, the original reporter, Lisa Gardiner of the Fremont Argus, stands by her story. SIOA is one of America’s foremost organizations defending human rights, religious liberty, and the freedom of speech against Islamic supremacist intimidation and attempts to bring elements of Sharia to the United States. Join SIOA’s Facebook page here.